The story of the Helen Keller Awards started way back in 1999 as a result of the findings of a survey conducted of the Top 100 Companies of India by the National Centre for Promotion of Employment for Disabled People (NCPEDP). The results showed that the average percentage of employment of people with disabilities was as follows: in the public sector: 0.54 percent; in the private sector: 0.28 percent; and in the multinationals: 0.05 percent. While the situation has improved to some extent in the past decade and a half, we are still not even close to covering half the percentage of persons with disabilities living in the country. 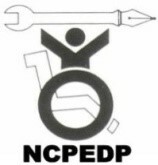 The objective of the NCPEDP Helen Keller Awards was to start a discourse on equal opportunities for persons with disabilities in the area of employment at a time when no one was even thinking about it. Organisations and employees with disabilities would become brand ambassadors for the cause of employment of persons with disabilities and take the momentum forward and role models would be identified and celebrated in an attempt to motivate and encourage others. Over the years, these Awards have come to be recognised as the most prestigious Indian benchmark for honouring people and organisations which have been working towards promoting employment opportunities for people with disabilities. Disabled persons from within the disability sector and outside who have been active as ambassadors of the cause of employment for disabled people and are a positive role model for others. Individuals from within the disability sector or outside who have contributed substantially to the cause of promoting employment opportunities for disabled people over an extended period of time. Organisations from the disability sector or outside who have shown their commitment towards promoting equal employment opportunities for people with disabilities. The NCPEDP-Shell Helen Keller Awards were given away for a continuous period of 15 years from the year 1999 to 2013. After the 15th edition of the Awards, a decision was taken to phase out these Awards as we thought they had outlived their lifespan. However, there was an unexpected and overwhelming response and feedback both from the disability sector as well as from the Corporates to not discontinue the Awards. Therefore, after a gap of one year (2014), the Awards were continued. The 16th edition of the Awards (2015) was sponsored by Lemon Tree Hotels. Given away every year on 2nd December - the eve of International Day of Persons with Disabilities, the NCPEDP Helen Keller Awards since 2016 are being supported by Mindtree Limited, a company passionate about creating equal employment opportunities and an enabling work environment for persons with disabilities..